Healthy Grocery Shopping On a Budget- ALDI, The Best Market in Town! Disclosure: This post is part of a paid partnership with ALDI. I 100% am an ALDI fan and promise you I would have easily done this anyway, it’s just nice to pay the bills too! Friends, I have a confession to make. My dream came true this past week as I spent my birthday eve with some of my favorite dietitians at one of the best grocery store test kitchens: ALDI! I’m sure some of you are probably shaking your head, stumped first on how to pronounce it; second, on just what the heck it is, right?! Don’t worry, I was new to this too until my world was rocked in 2009 when I moved to DeKalb, Illinois, and was introduced to this hidden gem. ALDI is literally like the mecca of budget friendly, healthy grocery shopping. I’m not kidding when I say you can knock nearly 50% off your grocery bill by shopping at ALDI. First things first, just how can ALDI offer such low prices without sacrificing quality and taste? Well, there’s a few ways ALDI controls costs without sacrificing product quality. To begin your shopping, you put $.25 in the cart and you get the quarter back when you return the cart. By putting customers in control of their carts, ALDI doesn’t have to pay an employee to round them up. Think about how much ALDI saves! Shelves are stocked in boxes that are precisely designed for ALDI. Think about the labor that goes into stocking shelves! Wouldn’t you rather keep the money in your pocket than paying someone to make the shelves look fancy? And on that note, packages usually have several UPC codes on them. Ever spent a few minutes waiting for that dang UPC to pick up. Not anymore! With multiple chances, the cashier is sure to get it on the first swipe! You bag your own groceries! I don’t know about you, but I LOVE this. I hate it when the bagger puts my disinfectant in with my fresh lettuce (paranoid, I know). But, this allows me to be more sustainable too by bringing my own bags while also keeping me organized, so when I get home I can put my groceries away in no time flat! Now, let’s chat more about all of the healthy and high-quality products ALDI offers. Because I’m a dietitian, that’s why! First things first, wine and cheese! ALDI has an exclusive line of high quality wines and cheeses that will take every holiday party up a notch! My favorite find: the Blueberry Goat Cheese Log. I must say… A-MAZING! Second, the produce! Yep, I’m tired of hearing you can’t eat healthy on a budget. Just look at this line up of the beautiful array of fresh fruits and vegetables, many local too! ALDI works directly with their buyers to ensure you can get a variety of seasonal produce on a budget. I saw a giant 4 pound spaghetti squash for a steal at $1.29 each! # Healthy Grocery Shopping! Next, seasonal buys! Yep, ALDI goes above and beyond to bring you a seasonal selection of special products that bring a magical touch to your table. 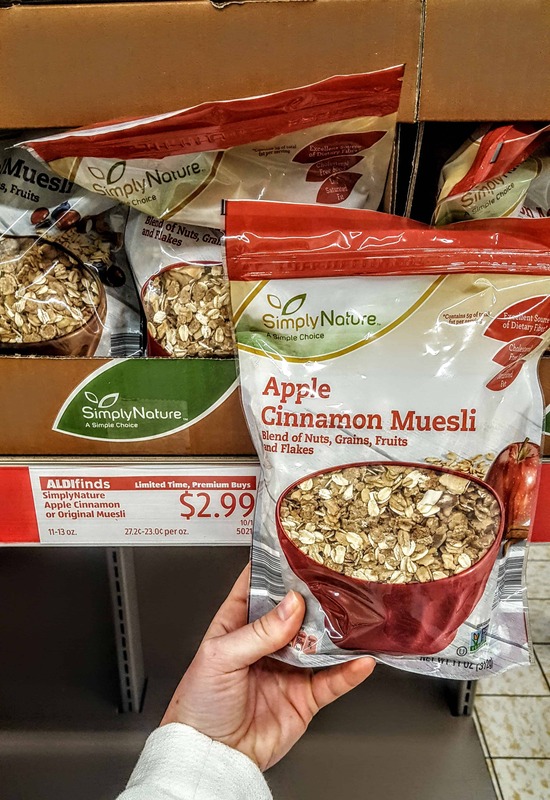 Check out this Apple Cinnamon Muesli I snagged for $2.99! 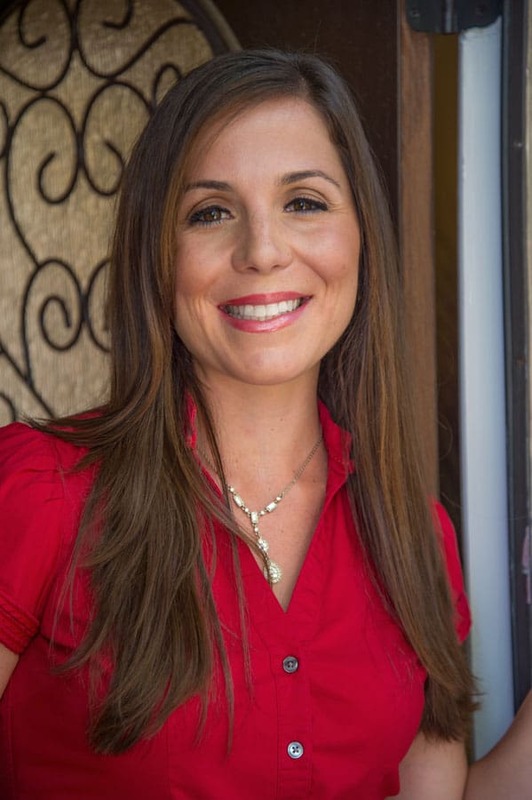 ALDI also employs a registered dietitian on staff and has a team of 4 dietitians who they work directly with to make sure the ALDI mission of healthy living aligns with the nutrition experts’ views. I happen to know two of these women personally and they are 100% fabulous in what they do! 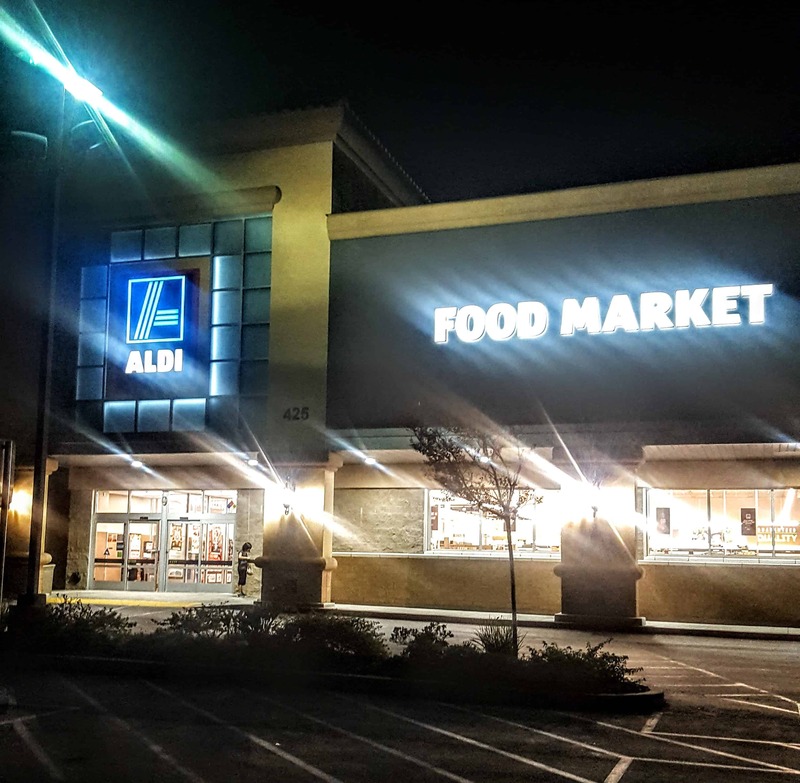 Just check out the amazing post from Real Mom Nutrition on how you too can become an ALDI convert! Last, but certainly not least, ALDI can take a lemon and produce 10 gallons of lemonade! 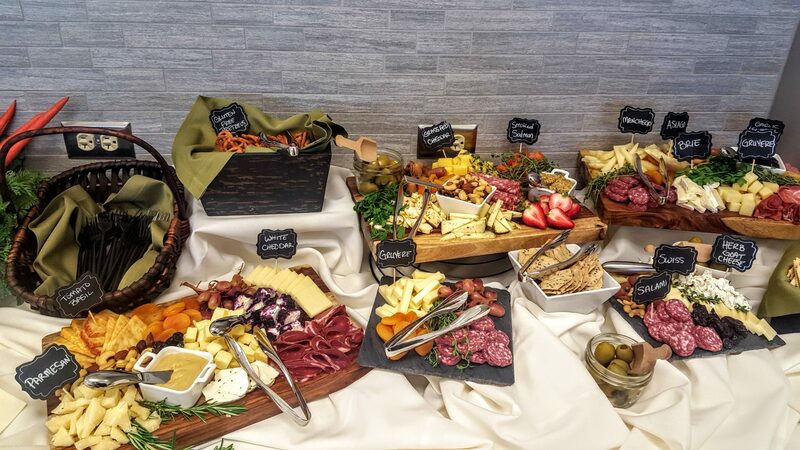 Just look at the beautiful collection of centerpieces, cheese boards and delicious trendy meals you can whip up using the ALDI brand of ingredients. Talk about Healthy Grocery Shopping! I can promise you Thanksgiving will be a whole lot more magical in my house when I use ALDI to set the table! Stay tuned for a special giveaway coming soon with my fabulous friends at ALDI! And, a special bonus, check out these AWESOME Aldi posts too from my favorite RDNs! 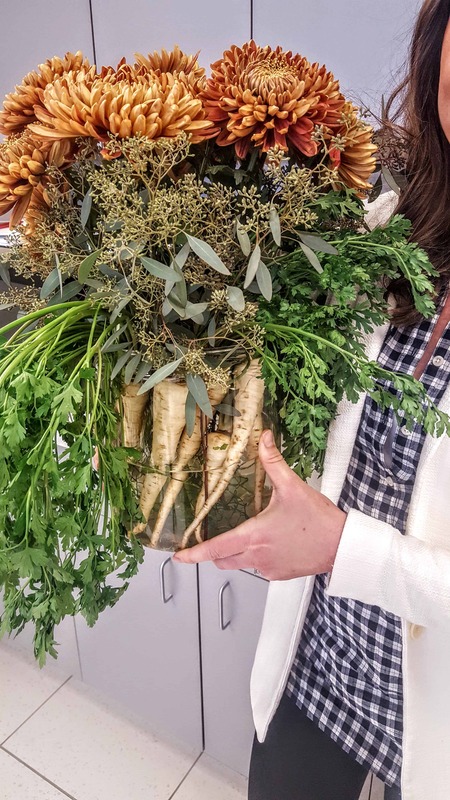 LOVE that centerpiece with parsnips! Too cute! 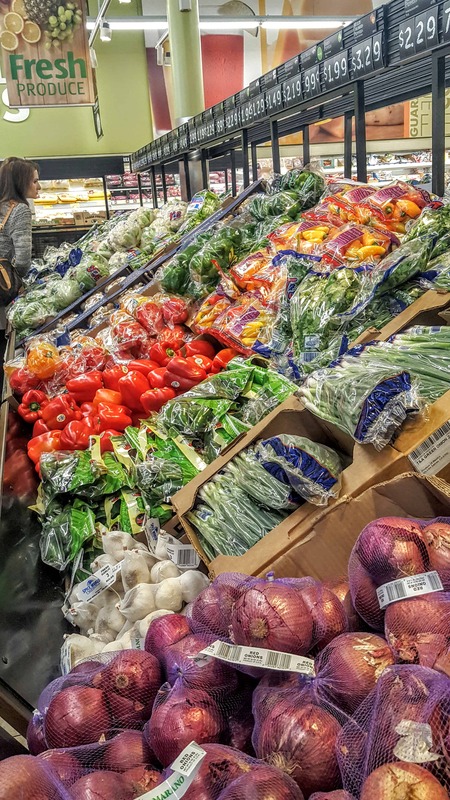 And you’re not alone — I’m a total freak when it comes to bagging at the grocery store because NO, disinfectant should not be with my fresh foods! 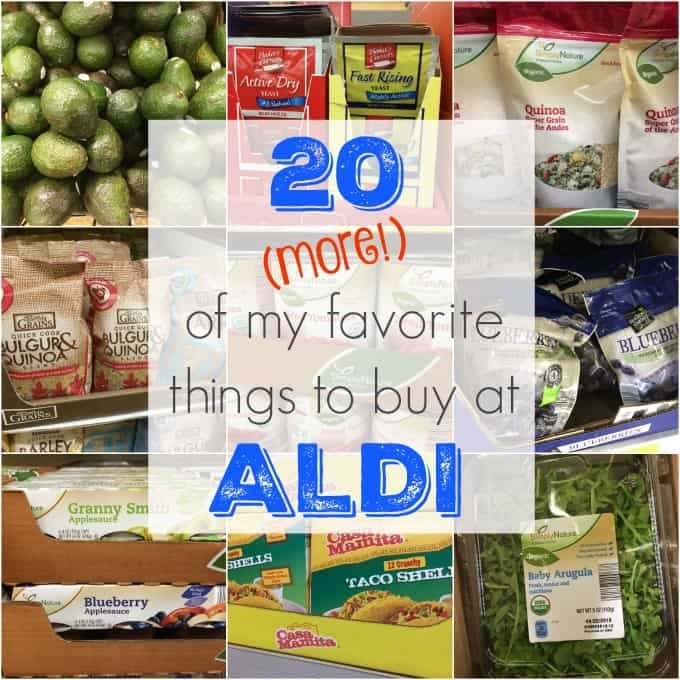 And I wish we had an ALDI in the middle of Manhattan…could 100% use some budget food buys! I am so glad I have a fellow OCD RDN out there with this lol! I too wish ALDI went to NYC so hopefully I could go explore the finds out there!! I’ve only been to Aldi once and it was in Ireland! They are big over there but I wasn’t a fan. We have one right across the street but when they opened years ago they only took cash. I’ve heard that has since changed along with many other things like their increase in organic produce. It’s on my list to go over and check it out! What a cool experience!!! We moved to a new city this summer and they have an Aldi!!! I’m so obsessed. I LOVE their root vegetable chips and stock up whenever I go! So many great deals on healthy food! I wish we had an ALDI close by! It’s incredible! I am taking a road trip tomorrow b/c the closest one to me in SD is about an hour drive, but it’s a fun field trip! Love all the great deals! Eating healthy on a budget is possible! I stopped by my local ALDI last week and picked up so many things (for less): coconut oil, granola, kale, avocados, almonds. The list goes on and on! Great seeing you at ALDI and can’t wait to share your post. Thanks so much Liz, and it’s amazing the loot you can pick up for such a steal! I love it! Heading over to check out yours and I loved your video! My husband used to swear by ALDI when we lived in Kansas city. He saved so much money and felt like shopping was easier because he wasn’t so overwhelmed with the exact same option in a million different boxes. It’s so true! I know CO doesn’t have them YET but hopefully soon! ALDI is on my list of top 5 things I MISS about Chicago! It’s the absolute best place to shop ever! If you have any pull over there please beg them to put a store somewhere in Salt Lake County SOON! HA I wish I did my friend! I know what you mean! When we moved from Chicago I too dreamed of ALDI coming to Cali! Still it’s not so close to me (about an hour drive away) but so worth it to get out of the house and save a ton in a once a month trip! I’ve heard such great things about Aldi! I wish we had one near us. We do have TJ’s here though – I’ve heard they are the same company. It’s so interesting! We asked them that too while we were there and it turns out the owners of TJ’s and Aldi were brothers (or cousins, can’t remember which one now) but they split apart so actually neither one has any direct working relationship with the other! Ohhhh I so want to go to their test kitchen. I’ve learned more about ALDI lately and am SO impressed by the products and prices. Lots of great organic options!! Totally! The organic, gluten free and natural lines are HUGE!!! Love this post!! Unfortunately, there is not ALDI by me but I am really wishing there was!! I love a good grocery bargain! And that centerpiece is amazing!! Thanks so much Rebecca!! I hope you get an ALDI soon!